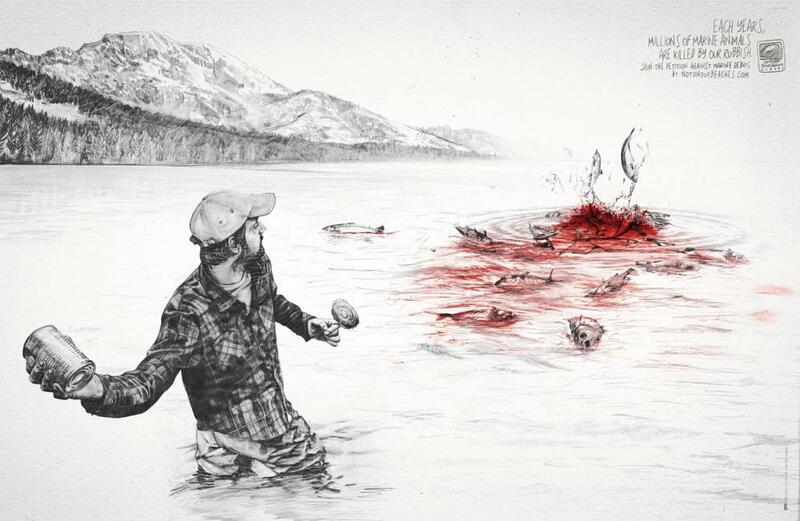 Surfrider Foundation Europe is running a print advertising campaign featuring littering whalers, a sealer and a fisherman to raise awareness of the impact of marine debris on marine life. 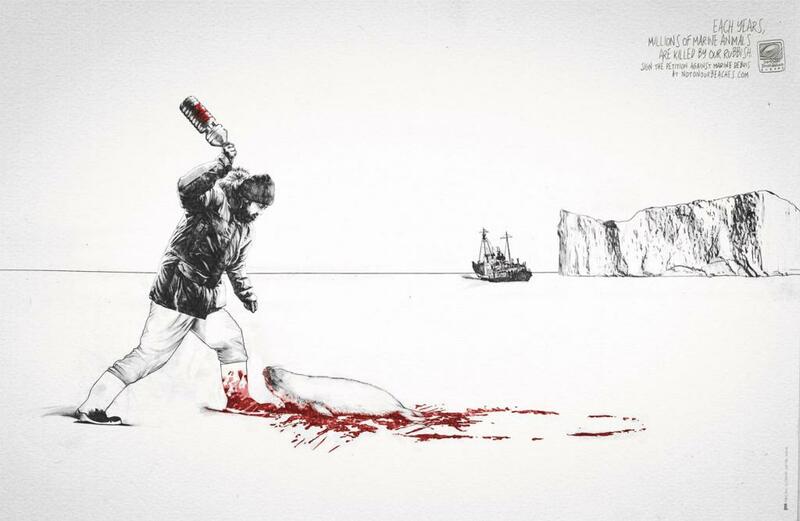 “Each year, millions of marine animals are killed by our rubbish. Sign the petition against marine debris at notonourbeaches.com”. The site claims that 500,000,000,000 plastic bags are consumed worldwide every year. 23,000 tons of debris enter the oceans every day. 1,000,000 seabirds and 100,000 marine mammals are killed by macro waste every year. 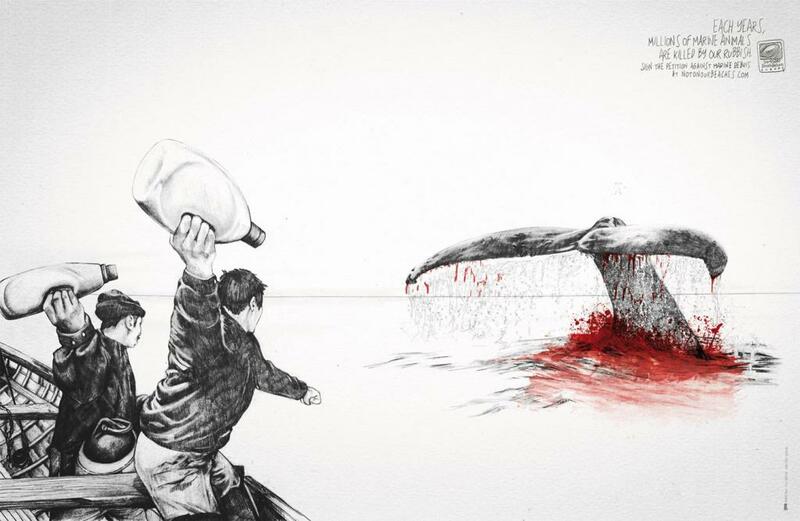 The Marine Life campaign was developed at Y&R Paris by creative directors Les Six, art director Gregory Jeanjacquot and copywriter Nicolas Gerard, with illustrator John-Paul Thurlow.